Интерстициальные заболевания легких (ИЗЛ, синоним: диффузные заболевания легких) являются гетерогенной группой болезней, при которых в патологический процесс в первую очередь вовлекаются альвеолы и периальвеолярный интерстиций, что приводит к нарушению газообмена, рестриктивным нарушениям вентиляционной функции легких и диффузным интерстициальным изменениям, выявляемым при рентгенологическом исследовании. ИЗЛ у детей являются актуальной проблемой детской пульмонологии. В статье представлены современные сведения о классификации, эпидемиологии, клинической картине, диагностике, терапии и прогнозе данных редких заболеваний. Перечислены различия в структуре, патогенезе, обнаружении различных гистологических изменений при ИЗЛ у детей, по сравнению со взрослыми. Приведены примеры регистров больных ИЗЛ детского возраста. Детально охарактеризованы клиническая семиотика ИЗЛ, возможные результаты объективного исследования, частота симптомов, особенности анамнестических данных, изменения, выявляемые на рентгенограммах органов грудной клетки, компьютерно-томографическая семиотика. Особое внимание уделено интерстициальным заболеваниям легких, встречающимся преимущественно у новорожденных детей и детей первых двух лет жизни, таким как наследственные дефициты белков сурфактанта, нейроэндокринная гиперплазия младенцев, легочный интерстициальный гликогеноз. Представлена диагностическая программа у детей с ИЗЛ, возможности терапии. 1. Interstitsial'nye zabolevaniya legkikh. Rukovodstvo dlya vrachei. Pod red. M.M. Il'kovicha, A.N. Kokosova [Interstitial Lung Disease. Guide for Physicians. Edited by M.M. Il'kovich, A.N. Kokosov]. St. Petersburg, Normedizdat, 2005. 560 p.
2. Kapustina V.A., Ovcharenko S.I. Evolution classifying interstitial lung disease. What gives the new reclassification in 2012 (according to the XXII Congress of the European Respiratory Society). Consilium Medicum = Consilium Medicum. 2013; 3: 24-29. 3. Fan E.L., Langston L. Pediatric Interstitial Lung Disease. Children Are Not Small Adults. Am. J. Respir. Crit. Care Med. 2002; 165: 1466–1467. 4. Bush A. Paediatric interstitial lung disease: not just kids stuff. Eur. Respir. J. 2004; 24: 521–523. 5. Deutsch G.H., Young L.R., Deterding R.R., Fan L.L., Dell S.D., Bean J.A., Brody A.S. Diffuse lung disease in young children: application of a novel classification scheme. Am. J. Respir. Crit. Care Med. 2007; 176 (11): 1120–1128. 6. Sharief N., Crawford O.F., Dinwiddie R. Fibrosing alveolitis and desquamative interstitial pneumonitis. Pediatr. Pulmonol. 1994; 17: 359–365. 7. Nicholson A.G., Kim H., Corrin B., Bush A., du Bois R.M., Rosenthal M., Sheppard M.N. The value of classifying interstitial pneumonitis in childhood according to defined histological patterns. Histopathology. 1998; 33: 203–211. 8. Fan L.L., Mullen A.L., Brugman S.M., Inscore S.C., Parks D.P., White C.W. Сlinical spectrum of chronic interstitial lung disease in children. J. Pediatr. 1992; 121: 867–872. 9. Fan L.L., Kozinetz C.A. Factors influencing survival in children with chronic interstitial lung disease. Am. J. Respir. Crit. Care Med. 1997; 156: 939–942. 10. Gasser S.W., Hardie W.D., Hagood J.S. Pathogenesis of interstitial disease in children and adult. Pediatr. Allergy Immunol. Pulmonol. 2010; 23 (1): 9–14. 11. Clement A., Eber E. Interstitial lung diseases in infants and children. Eur. Respir. J. 2008; 31 (3): 658–666. 12. Clement A. Task force on chronic interstitial lung disease in immunocompetent children. Eur. Respir. J. 2004; 24 (4): 686–697. 13. Clement A., Henrion-Caude A., Fauroux B. The pathogenesis of interstitial lung diseases in children. Pediatr Respir Rev. 2004; 5 (2): 94−97. 14. Das S., Langston C., Fan L.L. Interstitial lung disease in children. Curr. Opin. Pediatr. 2011; 23 (3): 325–331. 15. Paiva M.A., Amaral S.M. Chronic interstitial lung diseases in children. J. Bras. Pneumol. 2009; 35 (8): 792–803. 16. Deterding R.R. Infants and young children with children's interstitial lung disease. Pediatr. Allergy Immunol. Pulmonol. 2010; 23 (1): 23–31. 17. Kurland G., Deterding R.R., Hagood J.S., Young L.R., Brody A.S.,Castile R.G., Dell S., Fan L.L., Hamvas A. An Official American Thoracic Society Clinical Practice Guideline: Classification, Evaluation, and Management of Сhildhood Interstitial Lung Disease in Infancy. Am. J. Respir. Crit. Care Med. 2013; 188 (3): 376–394. 18. Dinwiddie R., Sharief N., Crawford O. Idiopathic interstitial pneumonitis in children: a national survey in the United Kingdom and Ireland. Pediatr. Pulmonol. 2002; 34 (1): 23–29. 19. Barbato A., Panizzolo C., Cracco A., de Blic J., Dinwiddie R., Zach M. Interstitial lung disease in children: a multicentre survey on diagnostic approach. Eur. Respir. J. 2000; 16 (3): 509–513. 20. Deterding R.R., Brody A.S., Hagood J.S., Young L.R. Round table discussion: children’s interstitial lung diseas. Pediatr. Allergy Immunol. Pulmonol. 2010; 23 (1): 91–95. 21. Eulmesekian P., Cutz E., Parvez B., Bohn D., Adatia I. Alveolar capillary dysplasia: a six-year single center experience. J. Perinat. Med. 2005; 33: 347–352. 22. Ovsyannikov D.Yu., Belyashova M.A., Krushel'nitskii A. A. Ammar Nakhar Al'khavavsha, Boitsova E.V. Congenital deficiency of surfactant: genetics, pathology, diagnosis, therapy. Voprosy diagnostiki v pediatrii = Diagnostics in pediatrics. 2013; 5 (1): 12–20. 23. Willemsen M.A., Breedveld G.J., Wouda S., Otten B.J., Yntema J.L., Lammens M., de Vries B.B. Brain-thyroid-lung syndrome: a patient with a severe multi-system disorder due to a de novomutation in the thyroid transcription factor 1 gene. Eur. J. Pediatr. 2005; 164: 28–30. 24. Belyashova M.A., Ovsyannikov D.Yu. Brain-lung-thyroid syndrome. Pediatricheskaya farmakologiya = Pediatric pharmacology. 2014; 11 (6): 56–61. 25. Fan L.L., Kozinetz C.A., Deterding R.R., Brugman S.M. Evaluation of a diagnostic approach to pediatric interstitial lung disease. Pediatrics. 1998; 101: 82–85. 26. Clement A., Nathan N., Epaud R., Fauroux B., Corvol H. Interstitial lung disease in children. Orphanet J. Rare Diseases. 2010; 5 (22): 1–24. 27. Paiva M.A., Amaral S.M. Chronic interstitial lung disease in children. J. Pediatr. 2007; 83 (3): 233–240. 28. Copley S.J., Coren M., Nicholson A.G., Rubens M.B., Bush A., Hansell D.M. Diagnostic accuracy of thin-section CT and chest radiography of pediatric interstitial lung disease. Am. J. Roentgenol. 2000; 174 (2): 549–554. 29. Lynch D.A., Hay T., Newell J.D. Jr, Divgi V.D., Fan L.L. Pediatric diffuse lung disease: diagnosis and classification using high-resolution CT. Am. J. Roentgenol. 1999; 173 (3): 713–718. 30. Guillerman R.P. Imaging of Childhood Interstitial Lung Disease. Pediatr. Allergy Immunol. Pulmonol. 2010; 23 (1): 43–69. 31. Brody A.S. Imaging considerations: interstitial lung disease in children. Radiol. Clin. North Am. 2005; 43: 391–403. 32. Garcia-Peña P., Lucaya J. HRCT in children: technique and indications. Eur. Radiol. 2004; 14 (Suppl. 4): 13–30. 33. Ovsyannikov D.Yu., Belyashova M.A., Zaitseva N.O., Avakyan A.A., Krushel'nitskii A.A., Petruk N.I., Zhdanova O.I., Degtyareva E.A. A rare interstitial disease legkih- neuroendocrine hyperplasia babies. Pediatriya = Pediatrics. 2013; 3: 32–37. 34. 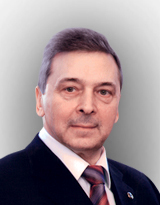 Kotlyarov P.M. General semiotics diffuse lung diseases according to a high-resolution computed tomography. Radiologiya — praktika = Radiology - practice. 2003; 3: 38–44. 35. MacDonald S., Müller N.L. Insights from HRCT: how they affect the management of diffuse parenchymal lung disease. Semin. Respir. Crit. Care Med. 2003; 24: 357–364. 36. Mayo J.R. CT evaluation of diffuse infi ltrative lung disease: dose considerations and optimal technique. J. Thorac. Imaging. 2009; 24: 252–259. 37. Fan L.L., Lung M.C., Wagener J.S. The diagnostic value of bronchalveolar lavage in immunocomplement children wich chronic diffuse pulmonary infiltrates. Pediatr. Pulmonol. 1997; 23 (1): 8–13. 38. Dislop M.D. Diagnostic pathology of diffuse lung disease in children. Pediatr. Allergy Immunol. Pulmonol. 2010; 23 (1): 69–84. 39. Langston C., Patterson K., Dishop M.K., Askin F., Baker P. A protocol for the handling of tissue obtained by operative lung biopsy: recommendations of the child pathology co-operative group. Pedi-atr. Dev. Pathol. 2006; 9 (3): 173–180. 40. Fan L.L., Kozinetz C.A., Wojtczak H.A., Chatfield B.A., Cohen A.H., Rotenberg S.S. Diagnostic value of transbronchial, thoracoscopic and open lung biopsy in immunocomplement children wich interstitial lung disease. J. Pediatr. 1997; 131 (4): 556–559. 41. Bush A., Nicholson A.G. Interstitial lung disease. In: A. Bush, J.C. Davies (eds.). An Atlas of Investigation and Management. Pediatric Respiratory Disease. Parenchymal Diseases. Clinical Pub. Serv. 2011. P. 37–50. 42. Satoh H., Kurishima K., Ishikawa H., Ohtsuka M. Increased levels of KL-6 and subsequent mortality in patients with interstitial lung diseases. J. Intern.Med. 2006; 260 (5): 429–434. 43. Al-Salmi Q.A., Walter J.N., Colasurdo G.N., Sockrider M.M., Smith E.O., Takahashi H., Fan L.L.Serum KL-6 and surfactant proteins A and D in pediatric interstitial lung disease. Chest. 2005; 127 (1): 403–407. 44. Balfour-Lynn I.M., Field D.J., Gringras P. BTS guidelines for home oxygen in children. Thorax. 2009; 64 (Suppl. 2): 1–26. 45. Balfour-Lynn I.M., Primhak R.A., Shaw B.N. Home oxygen for children: who, how and when? Thorax. 2005; 60 (1): 76–81. 46. Avital A., Godfrey S., Maayan C., Diamant Y., Springer C. Chloroquine treatment of interstitial lung disease in children. Pediatr. Pulmonol. 1994; 18 (6): 356–360. 47. Balasubramanyan N., Murphy A., O’Sullivan J., O’Connell E.J. Familial interstitial lung disease in children: response to chloroquine treatment in one sibling with desquamative interstitial pneumonitis. Pediatr. Pulmonol. 1997; 23 (1): 55–61. 48. Rosen D.M., Waltz D.A. Hydroxychloroquine and surfactant protein C deficiency. N. Engl. J. Med. 2005; 352 (2): 207–208. 49. Knyazhitskiy A., Masson R.G., Corkey R., Joiner J. Beneficial response to macrolide antibiotic in a patient with desquamative interstitial pneumonia refractory to corticosteroid therapy. Chest. 2008; 134 (1):185–187. 50. Mallory G.B., Spray T.L. Paediatric lung transplantation. Eur. Respir. J. 2004; 24 (5): 839–845. 51. Huddleston C.B., Sweet S.C., Mallory G.B., Hamvas A., Mendeloff E.N. Lung transplantation in very young infants. J. Thorac. Cardiovasc. Surg. 1999; 118 (5): 796–804. 52. Lettieri C.J., Nathan S.D., Barnett S.D., Ahmad S., Shorr A.F. Prevalence and outcomes of pulmonary arterial hypertension in advanced idiopathic pulmonary fibrosis. Chest. 2006; 129: 746–752.